Hilary HoynesProfessor of Economics and Public Policy, Haas Distinguished Chair in Economic Disparities at the University of California Berkeley. Hilary Hoynes is a Professor of Economics and Public Policy and holds the Haas Distinguished Chair in Economic Disparities at the University of California Berkeley. Between 2001 and 2016 she was the co-editor of the leading journal in economics, the American Economic Review. 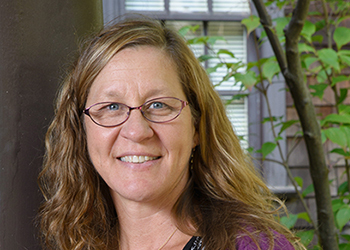 Hoynes specializes in the study of poverty, inequality, food and nutrition programs, and the impacts of government tax and transfer programs on low income families. Current projects include evaluating the effects of the access to the social safety net in early life on later life health and human capital outcomes, examining the effects of the Great Recession on poverty and the role of the safety net in mitigating income losses, and estimating the impact of Head Start on cognitive and non-cognitive outcomes. Her work has been published in leading journals such as the American Economic Review, the Review of Economics and Statistics, the American Economic Journal: Economic Policy and Econometrica. Currently, Professor Hoynes is a member of the American Economic Association’s Executive Committee, the Federal Commission on Evidence-Based Policy Making, and the advisory committee of the Stanford Institute for Economic Research. In 2014 she received the Carolyn Shaw Bell Award from the Committee on the Status of the Economics Profession of the American Economic Association. In addition to her faculty appointment, Hoynes has research affiliations at the National Bureau of Economic Research, the UC Davis Center for Poverty Research and the Institute for Fiscal Studies. Previously, she sat on the Advisory Committee for the National Science Foundation, Directorate for the Social, Behavioral, and Economic Sciences and the National Advisory Committee of the Robert Wood Johnson Foundation Scholars in Health Policy Research Program, and was Co-Editor of the American Economic Journal: Economic Policy. Hoynes received her PhD in Economics from Stanford in 1992 and her undergraduate degree in Economics and Mathematics from Colby College in 1983. Prior to joining the Goldman School she was a Professor of Economics at UC Davis.